Drawing on his long experience as the local history officer and archivist with PortsmouthMuseum Services, Dr John Stedman gave a highly informative talk on aspects of tracing building history, and the extent of the collections in Portsmouth History Centre on the 3rd floor of the Norrish Central Library. Most of you will have used this at some time – for those who have not and for those who might have just been researching a specific topic, this link to the Collections Guide is worth bookmarking – it also includes notes on access and identification requirements. 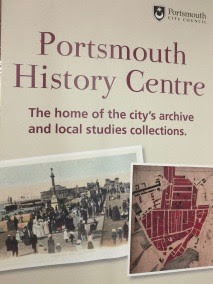 The city is lucky to have such an extensive archive, well maintained by knowledgeable staff, and combined as it is with a naval history collection second to none in a municipal archive.Amongst its most popular services are the three workstations from which free access can be gained to Findmypast and Ancestry (booking advised), and John was pleased to announce that Portsmouth‘s historical electoral rolls should be available on Findmypast soon. The Rate Books are a goldmine for researching buildings and social history alike, and the maps collection is always a pleasure to browse – from tithe maps & enclosure maps to WWII bomb maps via every OS edition and RAF aerial photographs, and most of the maps catalogued in Hodson’s “Maps of Portsmouth Before 1801″ (1978) can be inspected there. 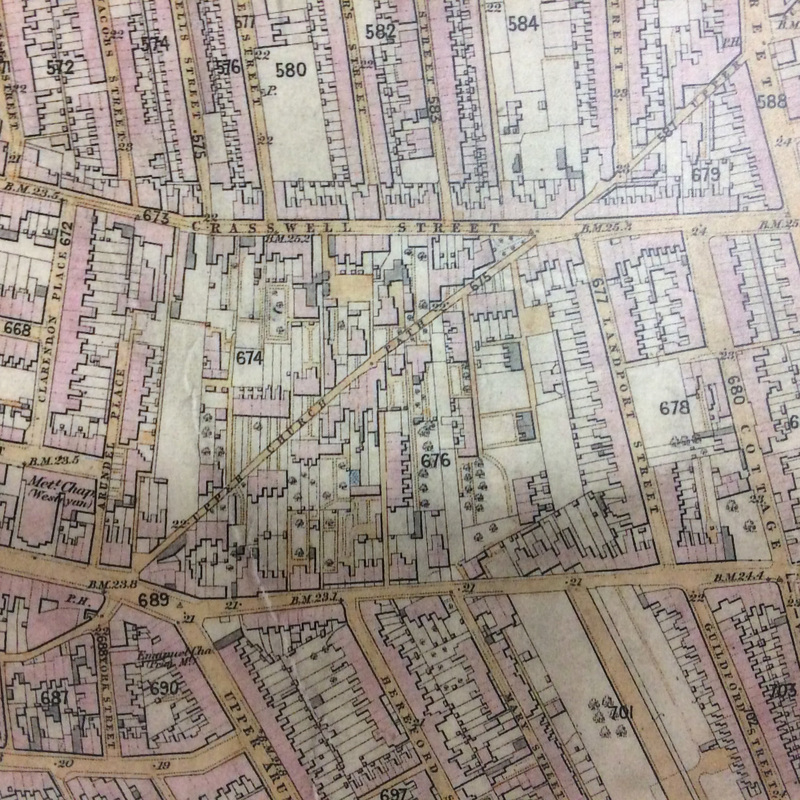 Portsmouth was amongst the first cities in the country to be mapped at 1:500. For those who enjoy looking at the many online map collections now available, this is a particularly convenient link to the 1870s 1:2500 series of Portsmouth. Other more specialised holdings include the Cogswell building plans collection, records of street renumbering exercises, and from 1928-31 lists of buildings not fit for habitation, which are very descriptive of their build and circumstance. 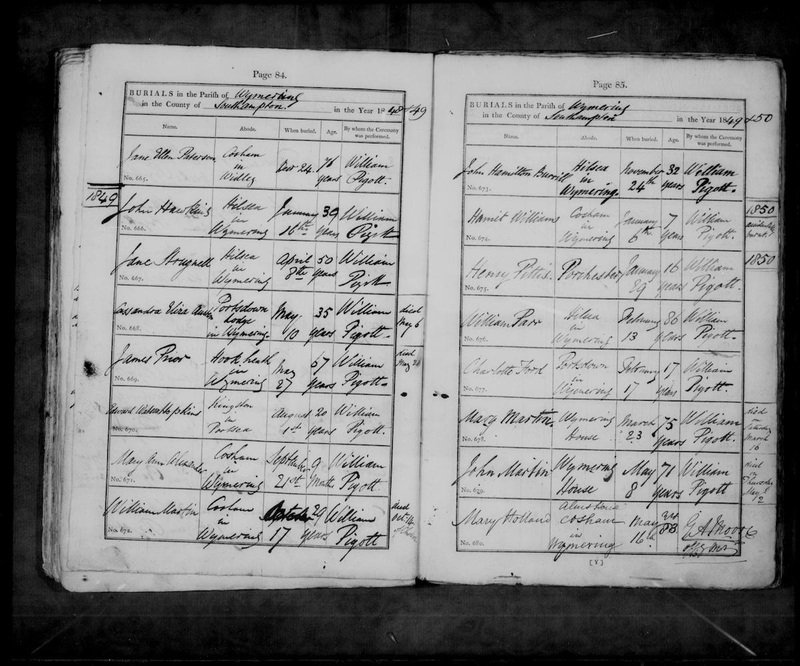 For those who may have visited to undertake family history searches and wrestled with the microfiche machines, you may be interested to know that the Portsmouth Parish Registers are now also available on Findmypast.